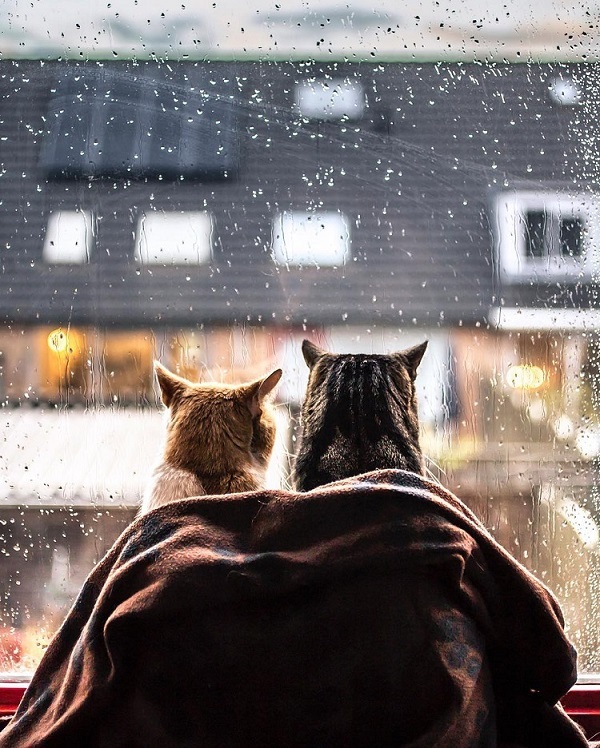 Felicity Berkleef is a 21-year-old self-taught photographer from Holland who loves snapping photos of her two rain-loving cats. Yup, anytime it pours outside, Nero and Tommie sit as close as possible to the window to enjoy the serene view of the stormy weather. Somehow those two rascals can’t get enough of it and I can’t get enough of those sweet photos. What a pair! P.P.S: Plus, girls and their cats. so sweet! in our sunroom we have a sky light, and when it rains, my one cat keeps her eyes up there, and even makes movements to get up that high. which could never actually happen, lol. silly things.